Phew chers followers! What a time I’ve been having of it recently at the Granny Flat! After two years of pulling up my donkey and ushuring all my possessions over the threshold, the time has finally come to get my hands dirty, embrace and advance my fledgling DIY skills, and little by little peel back the layers to expose the old girl’s metaphorical undercrackers. Oh the history (plus lurid green paint, dodgy fittings and holes) I’ve been uncovering. Gratingly, at the same time a cloud of insomnia has descended onto my hand-made Granny-fashioned roll-out bed, meaning that the ever-darkening nights have been spent tossing and turning beneath the covers, eyes firmly open, as if I’ve suddenly forgotten how this darn sleep thing works. Happily though there are infinite things one can do with an abandoned pallet and a few basic tools, so my rolling mind has been awash with ideas to turn my cute little palace into a modern temple of do-it-yourself, budget-conscious wonderment. To stop me from getting totally carried away, my precious stack of books has also proved invaluable during those nights of broken sleep, and as you’ll recall from my last post, I’ve recently topped up supplies. But hoovering literature like it’s going out of fashion means my limited space is simply chocka with tomes that need new homes. Sadly the next SOS book sale isn’t until the spring, so what to do with those stories in need of recycling to free up precious space to accommodate my ever-growing tool box? 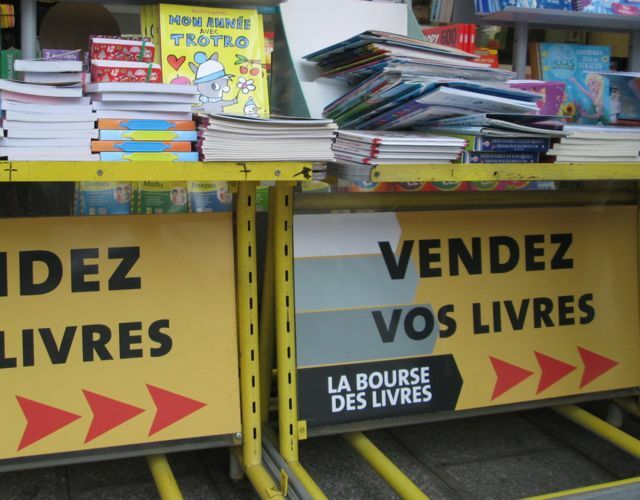 Paris has kindly provided some useful and financially rewarding options for off-loading spent books, though passing on via friends and the wider book community and giving to charity are always the most virtuous options. But, à la fin du jour, the crisis still lingers and sometimes a few extra euros weighing down our wallets can just make that all important difference in living a more comfortable life. Plus it’s not always easy to find a willing recipient with the same literary tastes. So where to go? 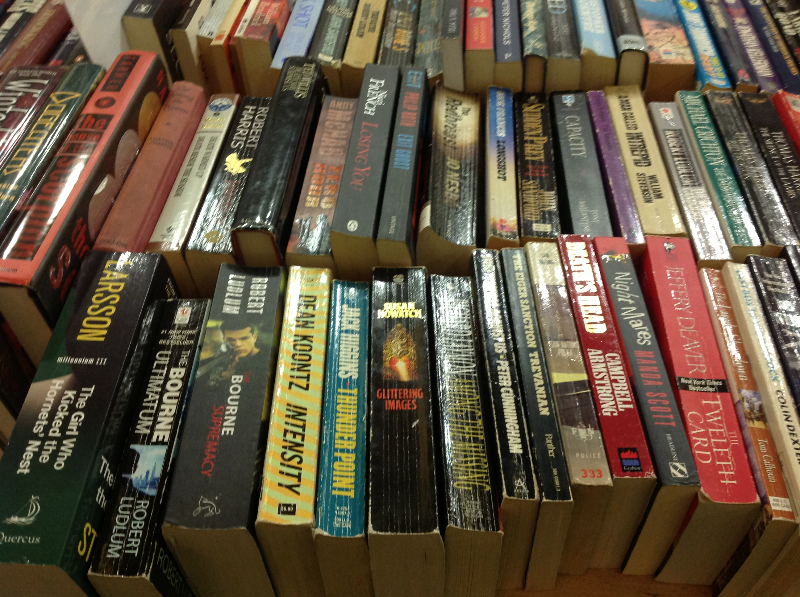 Well head towards the centre of Paris and you’ll find a collection of bookshops that sell, and crucially buy, secondhand English language books, including paperback and hardback fiction, travel books and various non-fiction titles. 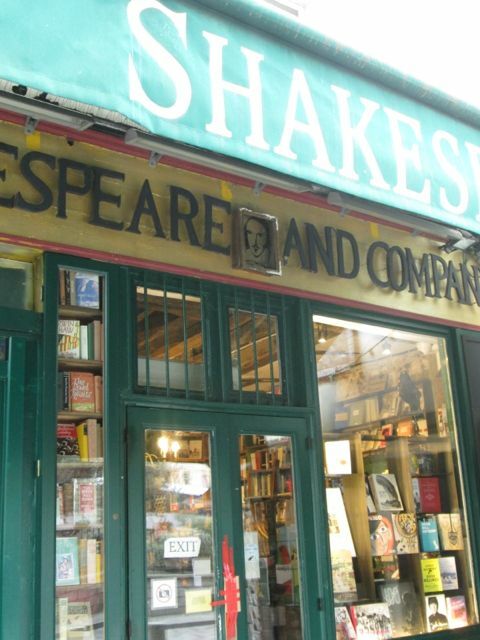 If you haven’t been to the hallowed Shakespeare and Company yet (37 Rue de la Bûcherie, 75005), then you’re well overdue a visit, especially considering that they’ve recently opened a café next door, meaning that you can nestle with your chosen pages in warm comfort as winter approaches. The tiny shop where you go to offer your wares is just nearby at 71 rue Galande. The minuscule Canadian-run Abbey Bookshop not far at 29 rue de la Parcheminerie will also accept secondhand specimens to buy, and even if you’re not willing to part with them, it’s traditional floor-too-ceiling randomly stacked shelves are a joy to behold for any enthusiastic reader. 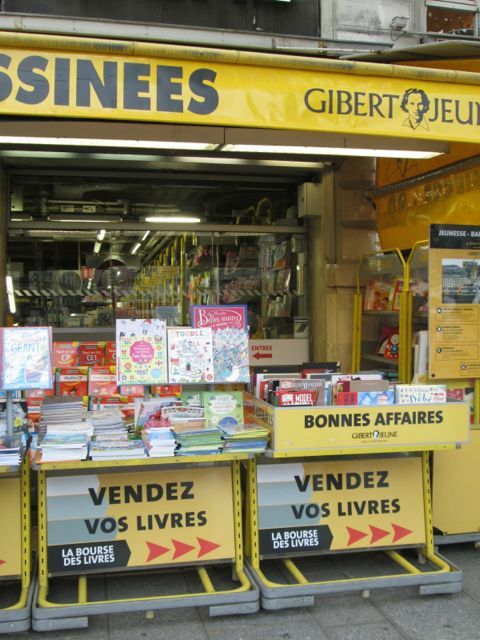 Yellow-hued chain Gibert Jeune in the same neighbourhood has a dedicated bourse des livres (2 Place Saint-Michel, just next to the bigger shop at no. 4, and there’s also one on Boulevard Saint-Denis), and they’ll pay you in cash (like the others) once they’ve perused and valued the items you’ve brought. It’s a bit of a short post this week sports fans, given that at the Granny Flat, reading (and rugby) has beaten writing quivering into a corner. But that doesn’t mean it’s any less important, after all, what in the world could be more important than books? If you’ve been reading over the last few months, you’ll know that wine fans don’t come much bigger than me, and chez moi, my wine rack is full of weighty tomes just waiting for me to dive into. And what perfect timing! Nothing says autumn more than curling up on a darkening evening with a mug of something steaming and a good book to get lost in. I’m also a fan of doing good where possible (as I’m sure you are too, dear reader), so SOS Help’s bi-annual book sale perfectly combines my philanthropic tendencies with my desire to fill my open dumper truck arms with as many books as my puny muscles can handle. And by God I’ll need them with a room full of paperbacks for a euro and hardbacks for two (the majority English language), not to mention comfort therapy in the form of home-baked cakes and coffee. 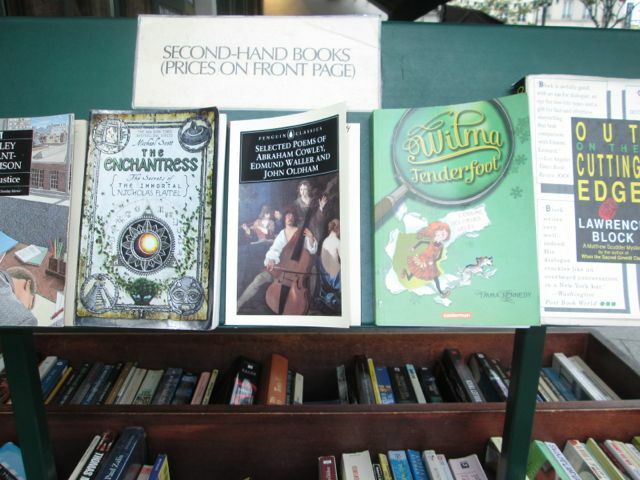 Just in time to replenish those shelves for the long black evenings of chilly winter, the second sale of the year takes place on Sunday October 11th. For those not familiar with their work, SOS Help is a charity that offers a free and confidential listening service to English people living in France, providing a friendly ear for those worried, stressed, lonely and confused. France is a wonderland of opportunity and experience in many respects, but life as an expat isn’t always sunshine and roses, and that’s where they come in. When starting this blog, I decided never to act as a promotional tool for other organisations, giving me the freedom to choose whatever subject and angle my heart desired, and I stand by that. But in this case I’ll make an exception, knowing what valuable work SOS Help dedicate themselves to. Plus this bi-annual book sale fits in with my budget ethos and provides me with my yearly reading material for the price of a couple of pints, and whether we have need of a friendly ear or not, the imaginary world of books is sometimes all we need to climb over life’s prickly obstacles. Donations are also accepted, check the website for details. It’s a bit of a short post this week sports fans, given that at the Granny Flat, reading has beaten writing quivering into a corner. But that doesn’t mean it’s any less important, after all, what in the world could be more important than books? If you’ve been reading over the last few months, you’ll know that wine fans don’t come much bigger than me, and chez moi, my wine rack is full of weighty tomes just waiting for me to curl up with. I’m also a fan of doing good where possible (as I’m sure you are too, dear reader), so SOS Help’s book sale this Sunday perfectly combines my philanthropic tendencies with my desire to fill my open dumper truck arms with as many books as my puny muscles can handle. And by God I’ll need them with a room full of paperbacks for a euro and hardbacks for two (the majority English language), not to mention comfort therapy in the form of home-baked cakes and coffee. 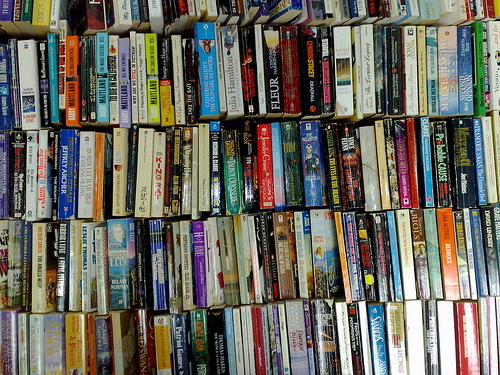 Here in Granny Flat HQ, it’s fair to say that books outnumber people. Books outnumber all of my pieces of crockery and cutlery put together. And probably clothes, too if I’m honest. If I can put it into perspective, I’m a huge fan of wine and love nothing more than cracking open a decent bottle with carefully selected invitees. I have a wine rack in fact. It’s filled to the brim with the good stuff. Books. So obviously, as is my duty as an avid reader and Paris resident, I’ve obediently consumed a good number of the ex-pat literature on France, of which there are a massive amount of examples. We’ve all heard of the Stephen Clarke Merde series, good enough for a giggle but one of the leaders of a band of books that seem to trade on French stereotypes and Parisian clichés. It’s as if writers are still trying to recreate the success of Mayle’s Provence series, with most being poor substitutes. I personally don’t think many of the I-moved-to-a-foreign-country-and-here’s-my-hilarious-take-on-the-natives examples floating around are really much cop, relying on the same tired format and hackneyed anecdotes. 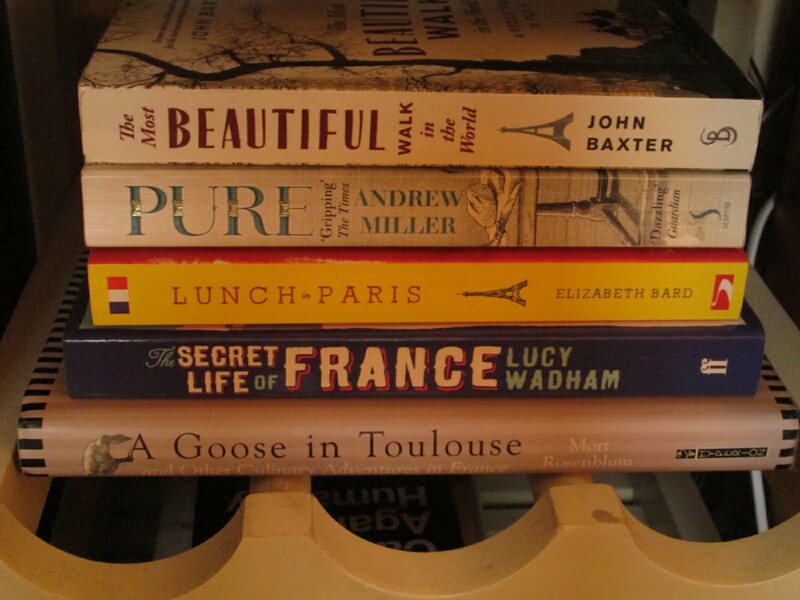 But happily I have stumbled across a few gems that offer a fresh perspective on a city, so here’s a few recommendations, good for residents and those who just love a bit of French flair in their lives, whatever their location. 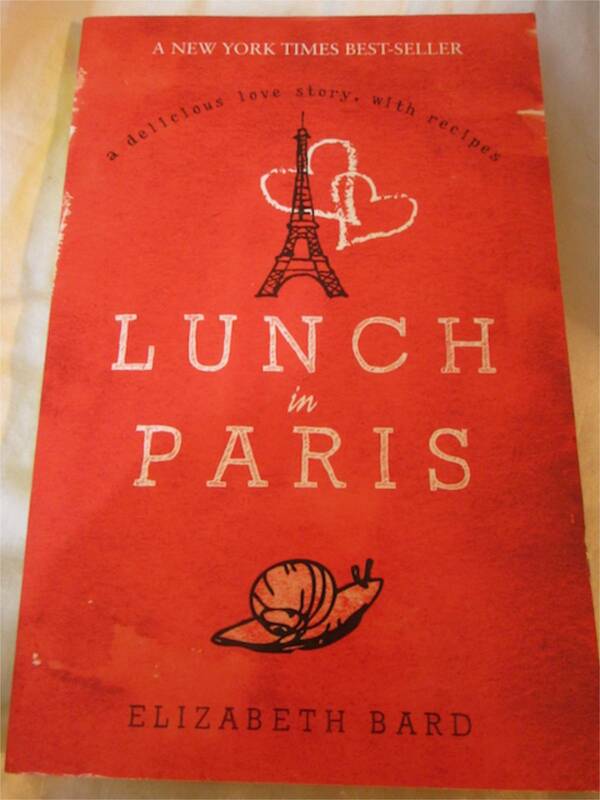 Lunch in Paris by Elizabeth Bard is on the more saccharine side of the genre, but that’s no bad thing. There are those moments we want to ignore the dog poo coating the streets, being pushed on the metro and ignored in restaurants and concentrate on the magic of Paris that can fade into a pin prick the longer you stay here. Paris is magic. But Paris can be incredibly jading too. There’s nothing like seeing the city afresh through the rose-tinted glasses of an enthusiastic American to restore the romance. Plus you get cooking tips too. Paris-centric The Secret Life of France sounds at first glance like another in a long line of conveyor belt fluff about an individual’s experience in this sometimes maddeningly complicated country, complete with stroppy waiters and stripy-jumper-clad plumbers named Pierre who don’t know the first thing about fixing pipes. So many of these books are paint-by-numbers accounts jumping from croissant to ancient writer’s hangout and back again, but Oxford-educated Lucy Wadham offers a hugely intelligent view on the living in Paris, and France as a whole, looking into history, politics, medicine and schooling, and everything in between. Exhaustively researched, its view of the French psyche is as thorough, funny and accurate as any I’ve seen. 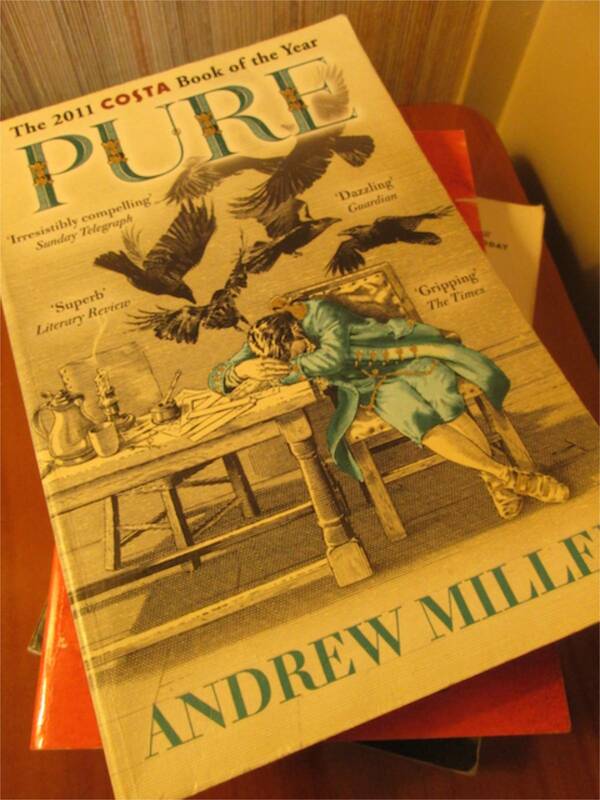 If it’s the tales the city can tell about itself that float your literary boat, Pure by Andrew Miller gives an excellent fictional account of one of the grisliest histories, the emptying and eventual demolition of the Cemetery of the Innocents (and the subsequent creation of the Catacombs), its overflowing graves stinking out the area around St Eustache and Châtelet back in the day. Set in pre-Revolutionary Paris, the writer conjures up a vivid portrait of what the atmosphere and geography was during that era, in all of its putrid, cramped, wonky-building-ed glory. As historical fiction goes, I haven’t read much better. 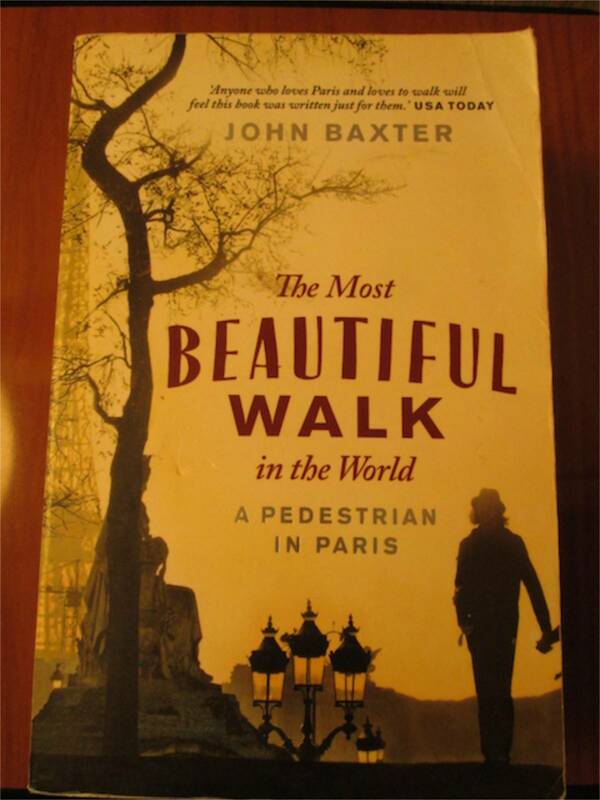 In The Most Beautiful Walk in the World, John Baxter winds through the city following in the footsteps of many a famous inhabitant, doing that thing Parisians love doing best, walking. Sure he hits the well-known boulevards and visits the sites of literary heritage visited by the world and his wife before. But he does go off the beaten track a little bit too, painting a harmonious picture of gritty realism and magical history, with a few of his tales of domestic bliss and time as a walking tour guide thrown in for good measure. Though a tour of the whole country, with a mere chapter on Paris itself, A Goose in Toulouse by Mort Rosenblum is a must-read for those interested in French food culture (so that’s all of us then). A quite delicious dive into the culinary heritage of a nation that occupies its collective mind more than most on such matters, Rosenblum gets to know Michelin chefs, local producers, decades-old restaurant patrons and those trying to tooth-and-nail to keep centuries-old traditions alive. It’ll inspire a desperate motivation to make full use of the kitchen, or at least a gargantuan appetite. Preferably both. And Robert est ton oncle as the French would say. Whether it’s the real version of Paris scheduled for the spring, or a desire to capture the atmosphere of one of the most enchanting cities in the world without actually being there, these will keep you going through the winter months. Happy reading mes amis.